We put a quilt on the frame and baste it to the batting and the back fabric. It lies there colorful, beautiful and flat….very very flat. And then we begin to quilt and all at once it is possible to see more and it becomes even more beautiful. 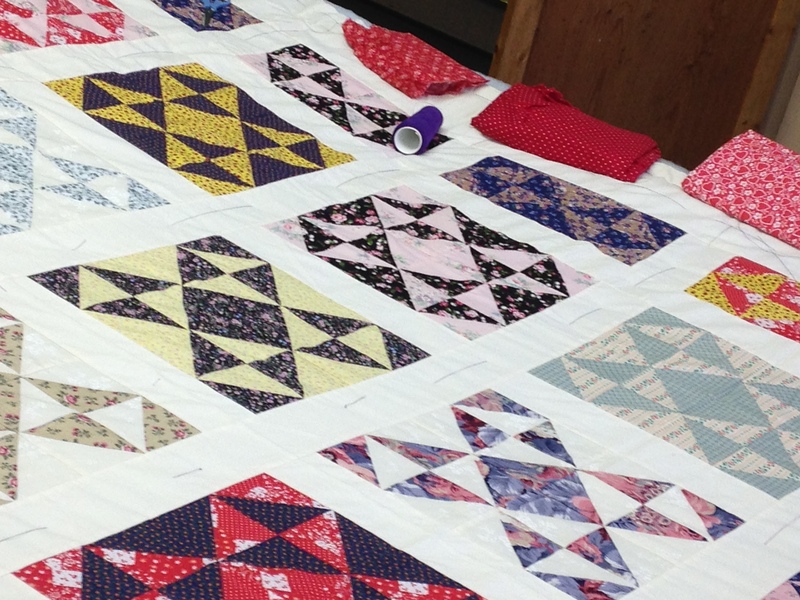 The quilt begins to gain more dimensions, designs appear that weren’t there before. And of course one never really knows – at least I don’t – what those designs will look like until they are sewn. We draw in some of the designs using a template and again – at that point its all still flat. But once the designs are quilted then they gain character. I wish I had taken some close up shots to demonstrate this but of course I didn’t. I was too busy quilting and then when I thought to take a photo I was struck by how many of us were working on this one quilt. Yes, there was a second frame set up but we all were putting our efforts on this particular day into this one that Bonnie made. It will require a lot of quilting but it will surely be worth it. And how many stitches – on my goodness. I can’t even begin to imagine. Because I heard that Ray was going to be celebrating his 80th birthday this spring, I started thinking about transitions. 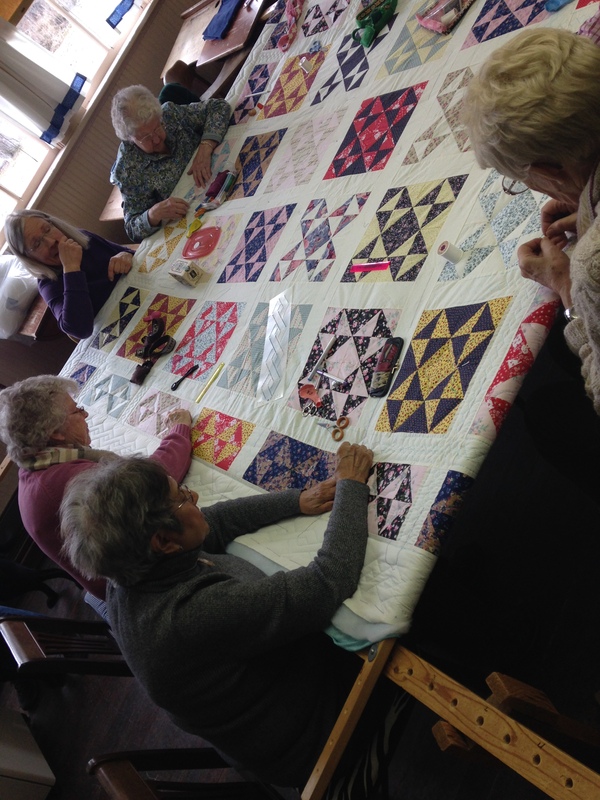 There is the one that these quilts go through from being a flat expanse of fabrics to an object that shows depth and character as it is quilted. And I suppose in many ways life is the same. There we are as infants cute and cuddly but our character is slowly built over time. We transition as we are shaped by experiences and relationships and the daily weather of life. We each begin to show more depth and individual intricacies. We gain character. There are dimensions we have at 80 that we never had as a child. Yes the potential was there with the hopes and design but over time with various influences and perhaps even the assistance of a template or two, the emerging effect can be beyond anything that was imagined at the beginning.